William, a 47-year-old bachelor tobacconist, died a particularly gruesome death at the wheels of an electric car just a few days before Christmas. Trolley railway systems were first used in 1887 in Richmond, Virginia, and just two years later (give or take a few months), a similar system was being used in Danville. The technology, as with the introduction of most technology, probably took citizens some time to get used to. While a trolley couldn’t nearly travel with the speed of today’s automobiles, they were probably a little faster than the horse-and-wagon system that had been the typical mode of transportation. 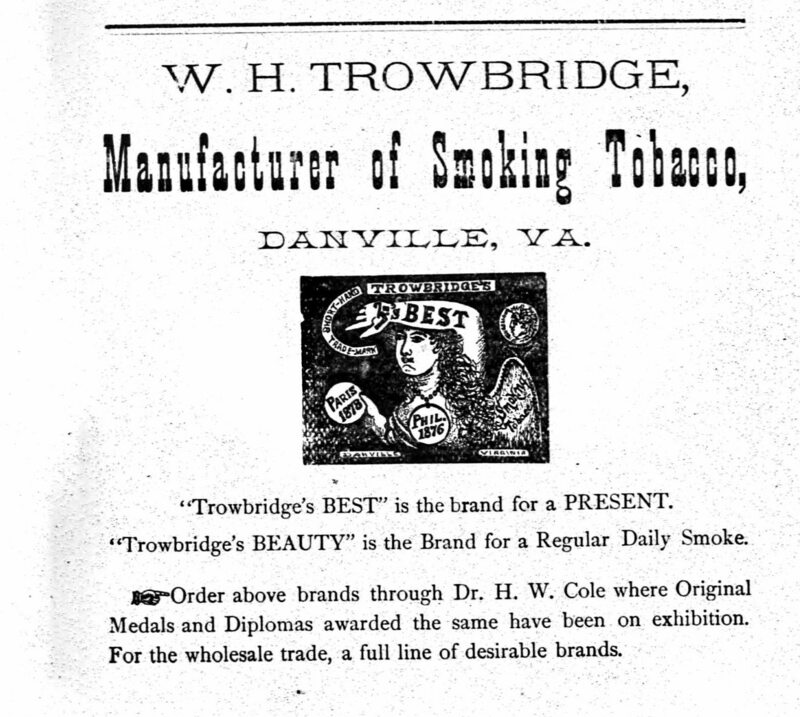 William Trowbridge died a gruesome death as a result of being careless. I’m sure that the next time I give my “safety first” speech to a child I’ll use it as an example of making sure traffic is clear before attempting to cross a road. Yikes! But how interesting, too — definitely a good example of why to look before crossing.